DIY: Installing/Replacing pedals | HuckingKitty! 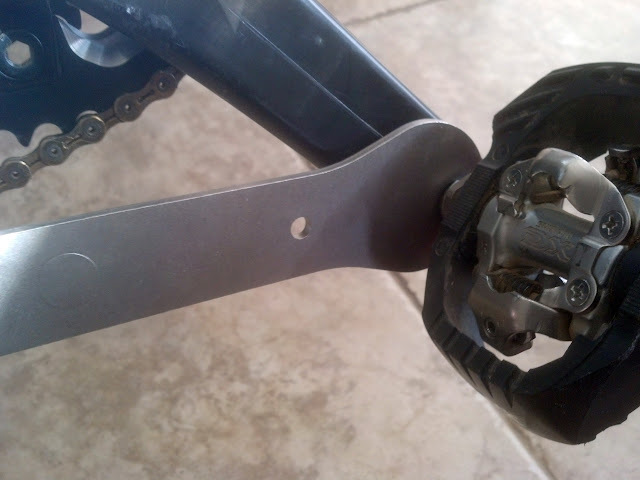 Using the open end wrench, remove the old pedal by turning the top of pedal shaft towards the REAR of the bike. This applies to both left and right pedals (because the left pedal has a reverse thread). Unscrew the pedal completely, but take care not to lose the washer. 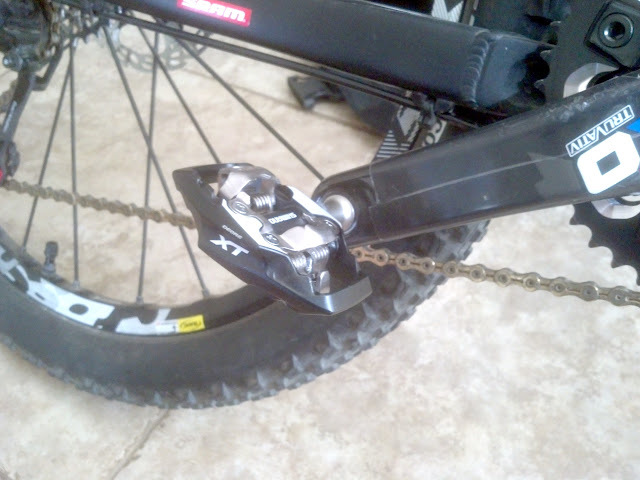 Remove the washer and transfer the washer onto the new pedal. 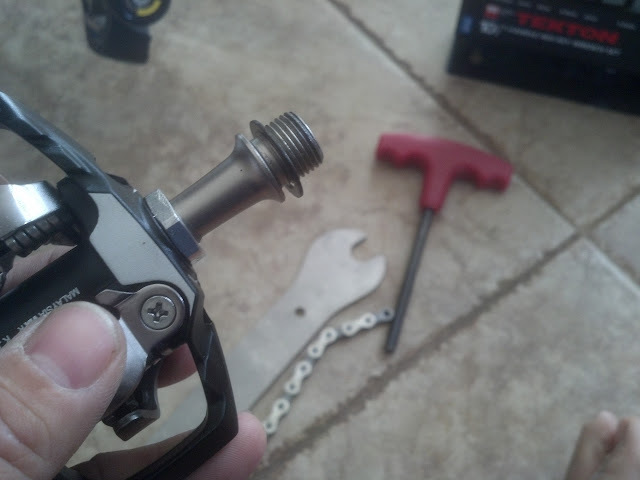 Put a small dab of grease on the threads of the new pedal, and proceed to screw the pedal into the cranks. 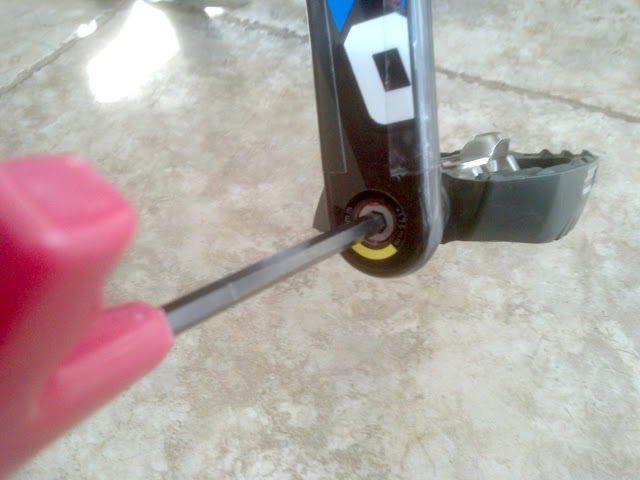 This time, turn the shaft so that the top goes towards the front of the bicycle. Tighten the pedal to about 35ft-lbs.